April 17, 2019 — Department of Marine Resources Commissioner Patrick Keliher sure knows how to quiet a room. April 12, 2019 — Someone once told me that no one was ever hired after responding to a help wanted ad in a newspaper. But that didn’t stop me, in the spring of 1997, from applying to become senior editor at National Fisherman. 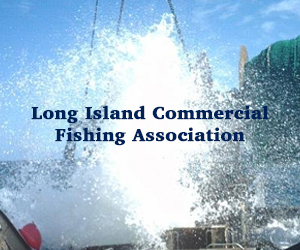 In addition to 10 years’ newspaper experience, including five at the Boston Globe (“The 13th largest paper in the country!” they liked to say on the night desk), I had, going back to childhood, 20-plus years’ experience as a commercial fisherman, including as skipper and owner. I would be a lead-pipe cinch for the job! And indeed, I was, after their first choice turned it down. I am eternally gratefully for having been the second choice, and for the ensuing opportunities. Editing National Fisherman was a job with many benefits, the greatest of which has been meeting fishermen from around the country and in quite a few instances making trips. Among the most memorable of these was aboard the 272-foot factory trawler American Dynasty in 1998. Capt. Jim Susol, a throwback who welcomed me aboard saying, “Smoke anywhere” (I don’t happen to), could not have been more gracious. For someone who came of age on lobster boats and side trawlers, the idea of a fishing vessel with air conditioning, flush toilets, and five main courses at mealtime was eye opening, to say the least – as was a 45-minute tow that yielded 88 tons of pollock. Another large vessel I got out on, a few years later, was the 145-foot Retriever, skippered by Franz Morris, which was midwater trawling for herring off Rockland, Maine. April 10, 2019 — Disputes between U.S. and Canadian fishermen in the so-called Gray Zone of the waters around Machias Seal Island as well as lobster tariff disputes with China were the subject of questioning by Sen. Susan Collins (R – ME) during a recent Commerce Appropriations Subcommittee hearing. Lobstermen who work in the Gray Zone are increasingly frustrated that their Canadian counterparts who fish in the same areas are not required to follow the same regulations (such as v-notching egg-bearing females and a maximum size limit), according to a statement, and thus are undermining American protections and threatening the sustainability of the stock. Because Canada does not impose such conservation measures on its fisheries, a v-notched or oversized lobster tossed back by a Maine lobsterman can be caught by a Canadian lobstermen yards away and brought to market. 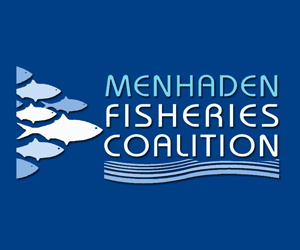 The Atlantic States Marine Fisheries Commission’s Atlantic Herring Management Board members from Maine, New Hampshire, and Massachusetts set effort control measures for the 2019 Area 1A (inshore Gulf of Maine) fishery for Period 1 (June), Period 2 (July and August), and the September portion of Period 3. 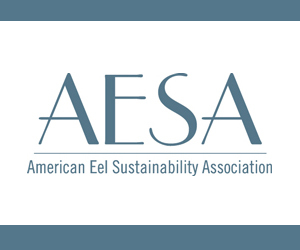 The Area 1A sub-annual catch limit (sub-ACL) is 3,850 metric tons (mt) after adjusting for the research set-aside, the 39 mt fixed gear set-aside, and the 8% buffer (Area 1A closes at 92% of the sub-ACL). Additionally, in October 2018, the Atlantic Herring Management Board implemented quota periods for the 2019 fishery, with the Area 1A sub-ACL allocated between the Periods as follows: Period 1 – June (16.1%); Period 2 – July-August (40.1%); Period 3 – September-October (34.0%); and Period 4 – November-December (9.5%). There will be zero landing days in Period 1. 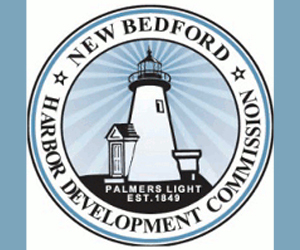 Vessels with an Atlantic herring Limited Access Category A permit that have declared into the Area 1A fishery may land herring four (4) consecutive days a week. One landing per 24 hour period. Vessels are prohibited from landing or possessing herring caught from Area 1A during a day out of the fishery. Landing days in New Hampshire and Massachusetts begin on Monday of each week at 12:01 a.m., starting July 15. 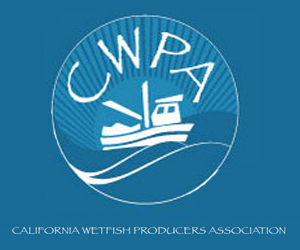 Small mesh bottom trawl vessels with an Atlantic herring Limited Access Category C or Open Access D permit that have declared into the fishery may land herring five (5) consecutive days a week. 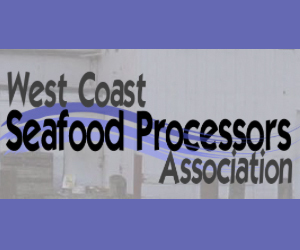 Vessels with a herring Category A permit may harvest up to 160,000 lbs (4 trucks) per harvester vessel, per week. The following applies to harvester vessels with an Atlantic herring Category A permit and carrier vessels landing herring caught in Area 1A to a Maine, New Hampshire, or Massachusetts port. A harvester vessel can transfer herring at-sea to another harvester vessel. A harvester vessel may not make an at-sea transfers to a carrier vessel. Carrier vessels may not receive at-sea transfers from a harvester vessel. Carrier vessel is defined as a vessel with no gear on board capable of catching or processing fish, while a harvester vessel is defined as a vessel that is required to report the catch it has aboard as the harvesting vessel on the federal Vessel Trip Report. 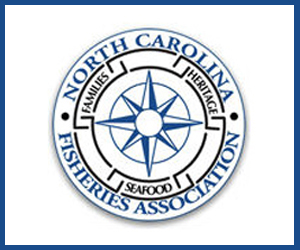 Fishermen are prohibited from landing more than 2,000 pounds of Atlantic herring per trip from Area 1A until July 14 or 15, 2019, depending on the state. Landings will be closely monitored and the fishery will be adjusted to zero landing days when the period quota is projected to be reached. Please contact Kirby Rootes-Murdy, Senior Fishery Management Plan Coordinator, at krootes-murdy@asmfc.org or 703.842.0740 for more information. April 9, 2019 — SEAFOOD NEWS — Senator Susan Collins of Maine, a senior member of the Appropriations Committee, took issues affecting Maine’s lobster industry to the Commerce Appropriations Subcommittee hearing this week – specifically the “Gray Zone” and the ongoing trade war with China. The Gray Zone sits approximately 10 miles off the coast of Maine, around Machias Island. Canadian and Maine lobstermen both work in the area, but do not follow the same regulations, which has caused disputees. Maine Lobstermen mark the tails of egg-bearing females and return them to water in an effort to allow them to lay eggs and continue reproducing. Maine lobstermen also abide by size limits, and toss back oversized lobsters to keep the stock strong. Canada lobstermen do not have to follow the same conservation measures, so those notched and oversized lobsters are able to be caught by Canadian lobstermen just yards away. Besides the issue with the Gray Zone, Senator Collins also spoke out on the ongoing trade war with China, urging the Senior Administration to make some progress with the dispute. April 9, 2019 — The Atlantic off the coast of New England is not a forgiving force. Water temperatures in the three miles from shore where most lobstering is done only reach the low 60s in the summer. They’re close to freezing in the winter. That cold water is the ideal habitat for the lobster that create a nearly-half-billion-dollar industry in Maine alone. It’s also an easy place to get killed. In boats whose starboard sides are fitted with block pulleys hanging over the edge of a gunwale low to the water, a lobsterman pulling traps from the ocean floor is perpetually looking at his next paycheck – and his potential grave. If he goes overboard, the shock of hitting the water will make him gasp for air and hyperventilate. If the involuntary gasp happens when his head is underwater, he will drown quickly. If he manages to avoid immediately sucking in sea water, within minutes the constriction of blood vessels in his arms and legs will make it difficult or impossible for him to swim or keep himself afloat. April 8, 2019 — A group of Rhode Island fishermen who witnessed southern New England’s near-shore lobster fishery evaporate and its offshore fishery diminish dramatically in their time on the water came to last month’s Maine Fishermen’s Forum in Rockland to give lobstermen here a bit of seasoned advice: Embrace ecosystem change while you’re in a good position to do so. April 5, 2019 — A proposal to let dozens of new lobstermen into Maine’s signature fishery is going to be put off until at least 2020. More than 200 people are waiting for a state license to harvest lobster, and the annual haul has grown in volume and value this decade. Earlier this year, state Rep. Joyce McCreight, a Democrat of Harpswell, proposed bringing people into the fishery if they’ve been waiting for 10 or more years. McCreight said she’s going to withdraw the bill from the current legislative session and consider bringing it back in the next session, which starts in January. The lobster industry is facing too much uncertainty to bring more than 50 new fishermen in at once, she said. Lobstermen have had several productive years in a row, but this year the business is facing a bait shortage and potential new fishing rules to protect rare whales. 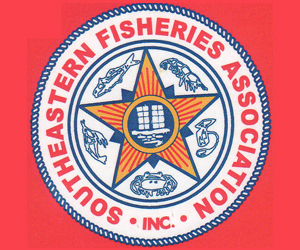 Many members of the lobstering industry were skeptical of McCreight’s proposal from the beginning and some said holding it over until the next session is a good idea. Bringing new fishermen into the business could have also hurt the state in ongoing discussions with regulators about new whale protection rules, said Kristan Porter, president of the Maine Lobstermen’s Association. April 2, 2019 — Regulators are taking comments on plans to expand a lucrative new crab fishery that’s stirring interest in the Gulf of Maine. Jonah crabs are a native species that, until recently, was mainly caught as bycatch – by accident – in lobster pots. Now, as warming waters push the lobster fishery north, more fishermen – especially in southern New England – are targeting Jonah crabs on purpose to supplement their income. New Hampshire Fish and Game biologist Josh Carloni says in Northern New England and the Gulf of Maine, lobster is still king – but that could change.